Researchers studying bone artefacts discovered in the Kuumbi Cave, Zanzibar, have found evidence to suggest that bone tools were used for hunting, and even as poison arrow tips. The findings, published in the journal Azania: Archaeological Research in Africa, suggest that bone technology was a central element to the Kuumbi Cave’s inhabitants over 13,000 years ago. Bone technology – such as its use as an arrow tip – was essential to a Stone Age man’s lifestyle and has been shown to have been in use 60,000 years ago. The majority of the evidence to support this has been found in sites in southern Africa, but now the artefacts found in the Kuumbi Cave show that this technology was being adopted in eastern Africa as well. 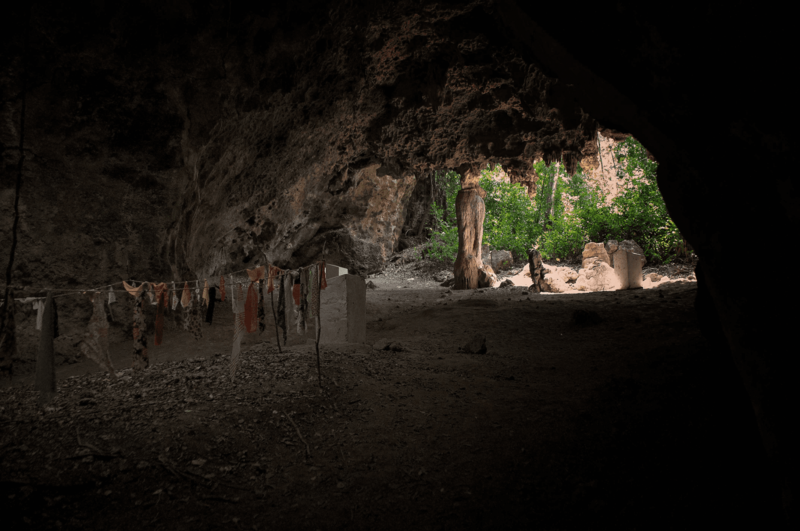 The researchers investigated seven bone artefacts recovered from the Kuumbi Cave, five bone projectile points, a bone awl, and a notched bone tube. By analysing the artefacts with a camera and microscopes, they were able to compare the manufacture techniques and wear to previous discoveries and to attempts to replicate this technology in the laboratory. Previous work has estimated that poison-tipped arrows may have been used as far back as 24,000 BP (years before present), and the researchers conclude that this technology, better known from southern Africa, may also have been used 13,000 BP in eastern Africa.